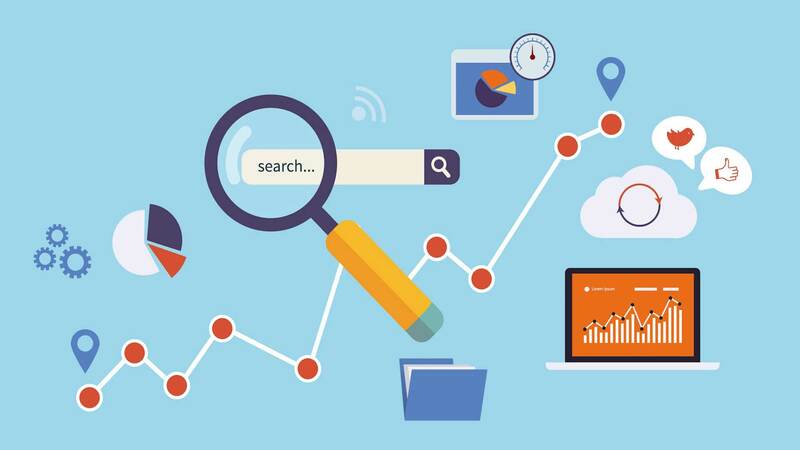 Ranking in the search engines is a complex process, so choosing the right SEO keywords is important, but if you’re not a SEO expert where do you start? You start by doing a keyword research first and getting inside the heads of your customers, by knowing exactly what words they use when searching. How do you choose which keywords to optimise for? Should you focus on long tail keywords, or go straight for the most competitive head terms? Whether you target long tail keywords that are specific and consist of multiple key words, or you target after head terms depends on your competition. If the competition in your business is high, then you will have a hard time ranking on competitive head terms. If you have little competition, you’ll even be able to rank for head terms. Most people are not very good in assessing their chances to rank highly, they usually overestimate their chances, and focus on head terms that don’t attract to much traffic. Are the websites professional looking? Ask yourself whether or not you’re business is an equal to these businesses. Does your website belong with these sites? Is your business a similar size, and does it have as much influence in your industry? Does the search engine result page display well-known brands? It’s going to be much harder to rank when you are competing against strong brand-names websites. Are there any Google ads ? And how much is the pay-per-click in Google Adwords? Search terms that have a high pay-per-click are usually also harder to rank for in the organic results. It all comes down to one question: how does your website hold up, compared to the websites in the search engine result pages? If your’e business is of equal size then go ahead and focus on those head terms, but if not perhaps try a more long tail keyword. The next stage is to do the exact same analysis as you did above with a keyword that’s slightly more long tail. Longer and more specific search terms are going to generate much less traffic, but ranking on these terms is going to be much easier. Focusing on a whole bunch of long tail keywords can generate a lot of traffic. Once you have managed to rank for those long tail keywords, and aiming for more head terms is going to be easier. When you have completed a thorough analysis of your chances to rank on a specific term, you then are going to write rich and appropriate content and optimise it correctly. Don’t forget to include some backlinks. Then wait. Then check out your rankings. Does your content pop up in Google? Does it hit the first page of Google’s search engine pages? Or is it hidden on page 2 or 3? Just make you evaluate your articles in the search engine result pages. Google the keywords you’ve optimised your content to. Then check whether or not your SEO is working! If you’re not able to rank on the first page, then try to write a different article, but focus it on a even more long tail keyword. Try making it a little more specific, then see how that displays. Evaluate it again. You should be constantly doing this process until you hit the first page. Choosing the right SEO Keywords to get the most traffic to your website can be rather intimidating. Just be persistent because it will definitely pay off! After you have thoroughly analysed your competition start testing. Write articles and see how they rank. After evaluating your rankings, adapt a strategy, you will get there if you just keep on trying.